We are proud to announce that Islands Homeowners Association has selected Tinnelly Law Group as their associations’ legal counsel. 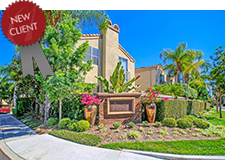 The Islands HOA is an intimate community consisting of 117 beautiful California-style homes. Located in Aliso Viejo, this community has close and easy access to schools, family recreation, arts, entertainment, and business centers. Our HOA attorneys and staff look forward to working with Islands’ Board and management.